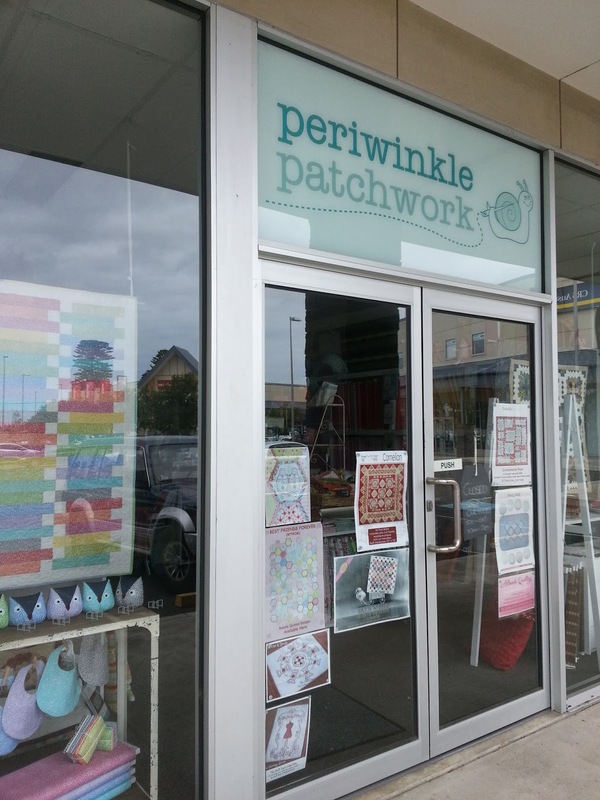 My family now knows that any trip may well involve planned or spontaneous stops at Quilt Shops. 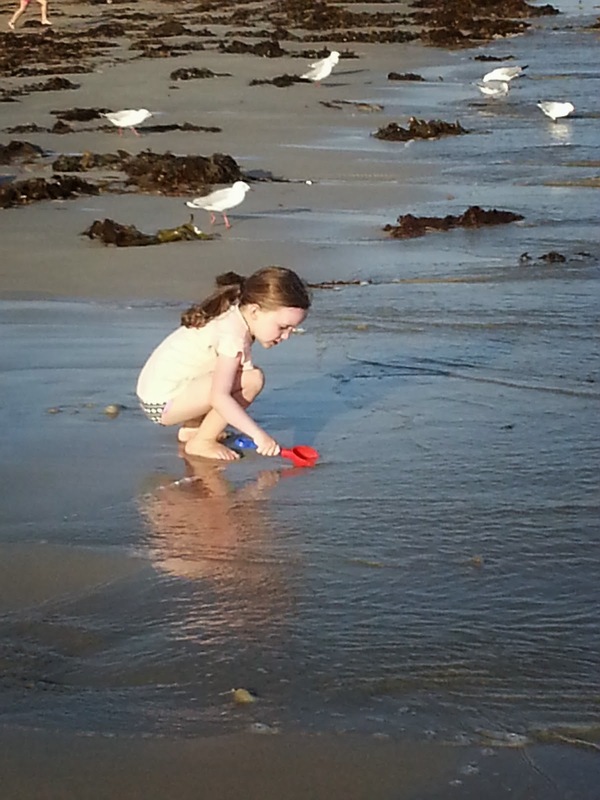 Our little Beach Holiday to Warrnambool was no different. Shez, I need to plan a day out in Ballarat with you so I can take in all that this shop has to offer. Then on a little day trip Claire and I managed to find this little gem in Port Fairy. A sweet little shop that was only two small rooms in the front of a house. I know I am on a fabric diet but this lot is OK as it's not being stashed. I plan on starting this one asap. A little out of my comfort zone as I'm not one that normally plays with Civil War / Reproduction Fabrics. I see a lot of fussy cutting in my future. and this is the extend of what I got done. And a "Holiday Pic" to finish this post. school supply shopping. Now she cries if we try to get her to take her new School Shoes off! Hi Sharon, May I ask, please, about the redwork sampler? 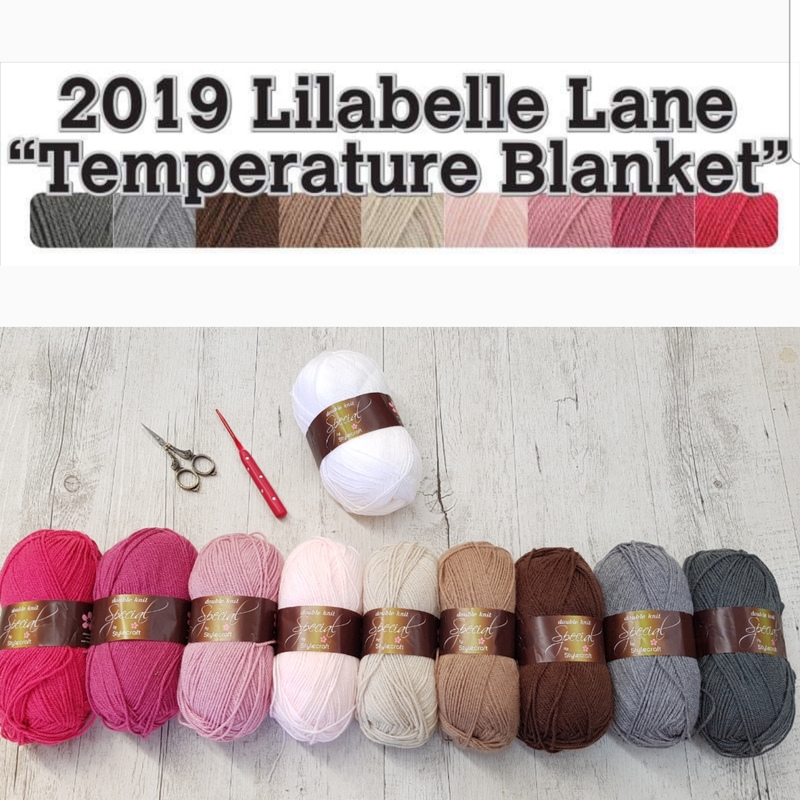 What pattern is it? Some wonderful shops there. 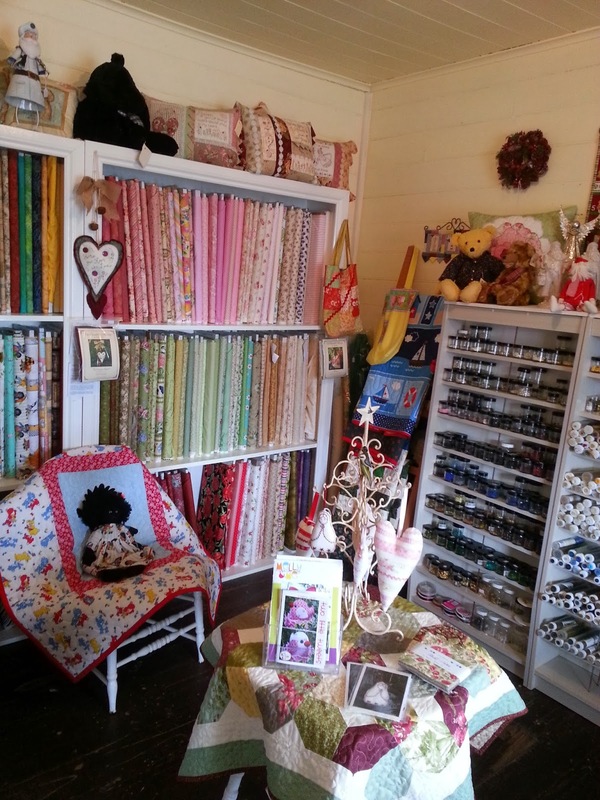 I love Gail's shop. I collect repro fabrics as I make little Civil war quilts. 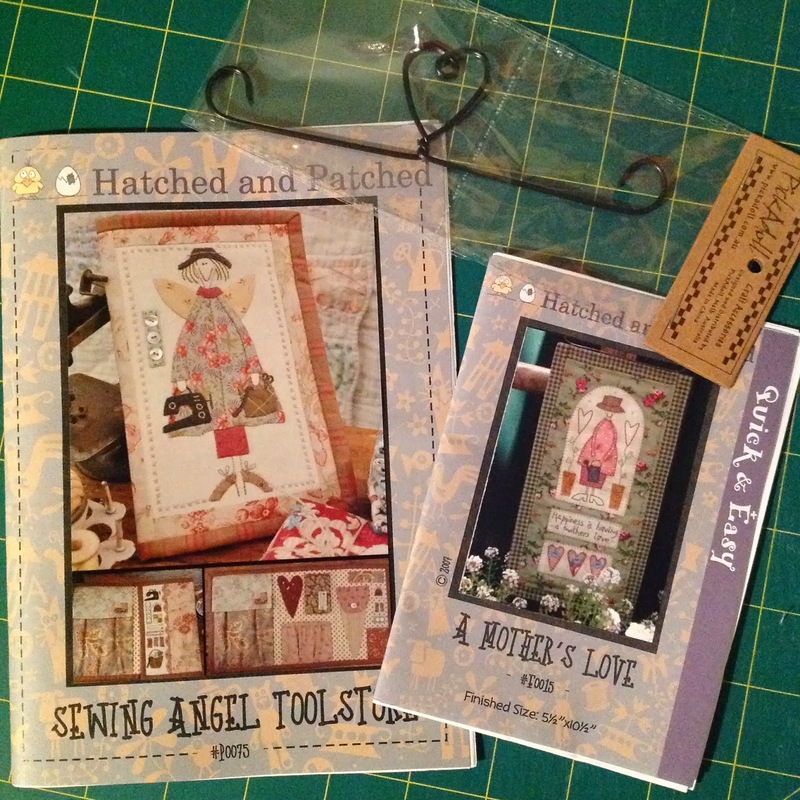 Lucky to get to the craft shops! Wish I could have been at Gail's, must go there some day! Love the craft shops and you did buy some lovely goodies ...... well trained fellows too, what more could a girl ask for. 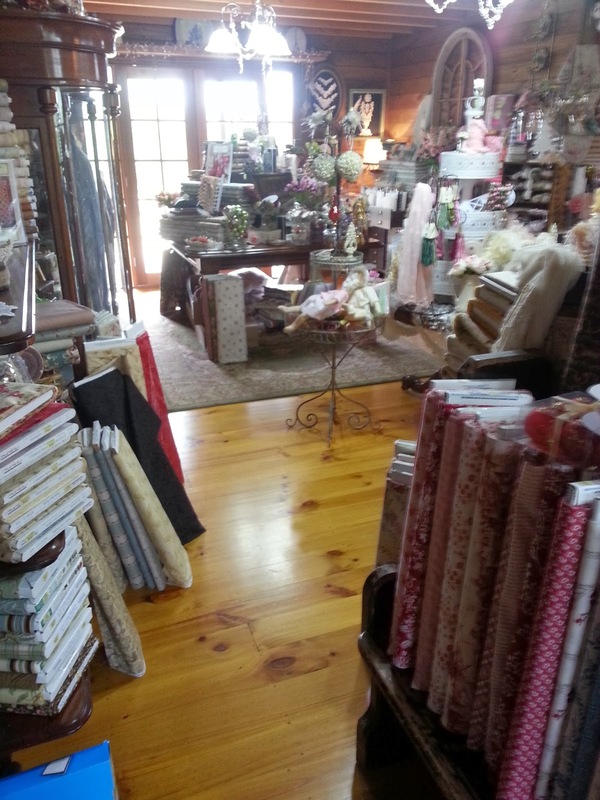 Yummy quilting shops. Small purchases always necessay. Lots of lovely purchases there Sharon. We're heading off school shoe shopping in a day or two! Sounds like a great trip. Your little baby is so grown up now. preps are so cute. 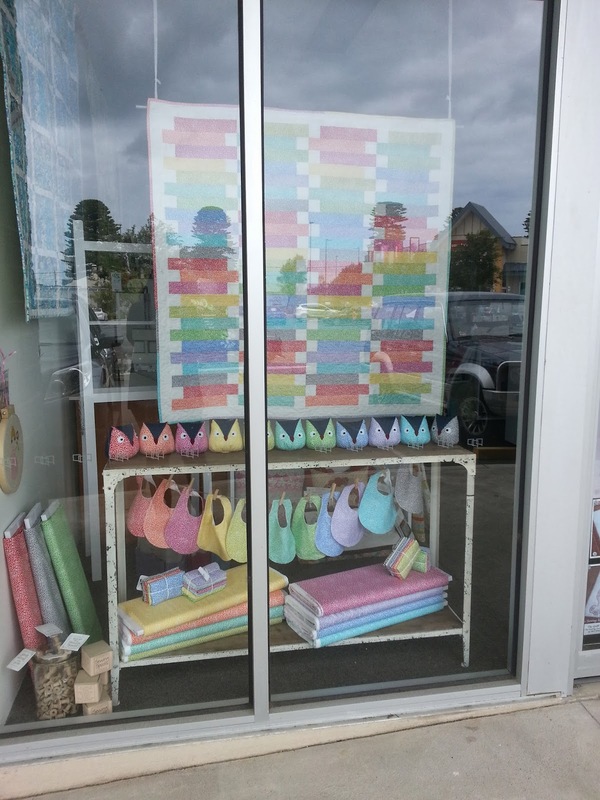 Lovely quilt shops. Great buys. It's great to see that the family was warned....lovely purchases. Lovely buys, for sure! 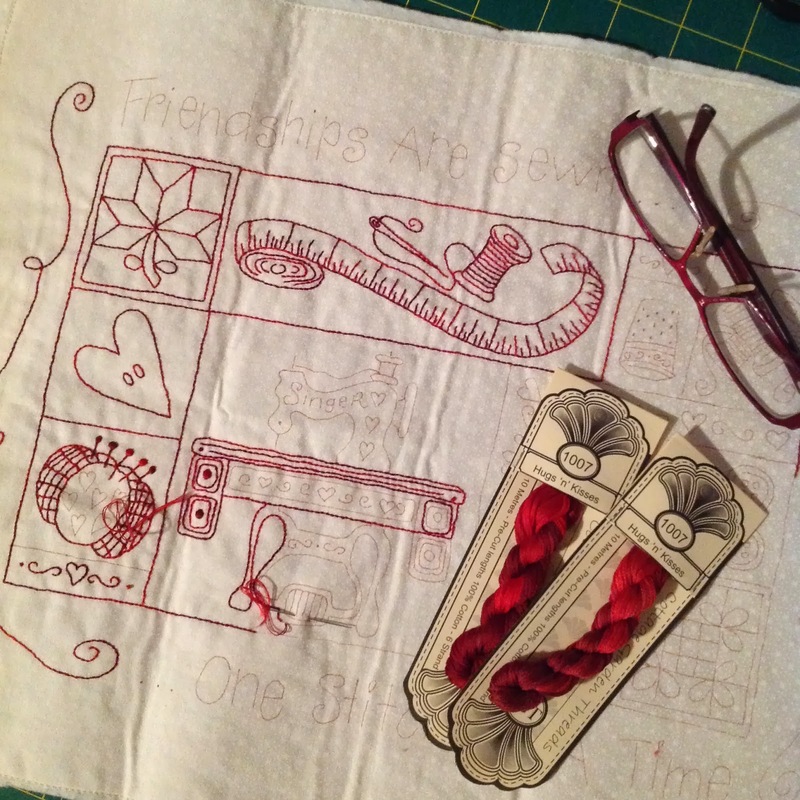 I am wondering about the redwork pattern...could you please tell me where to find that? Thank you! That is soooo cute of Lily wanting to wear her school shoes all the time! 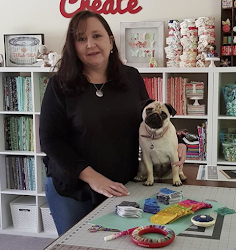 Yes you do need a lot of time for Gail's shop and I must make a visit to Warrnambool next time I visit the in-laws as I didn't realise they had that many patchwork shops there. Looks and sounds like you all had a lovely time while away :) Barb. Fun shopping...what a lovely holiday! I do enjoy combining holidays with a little shop hopping. You did very well with some great purchases. 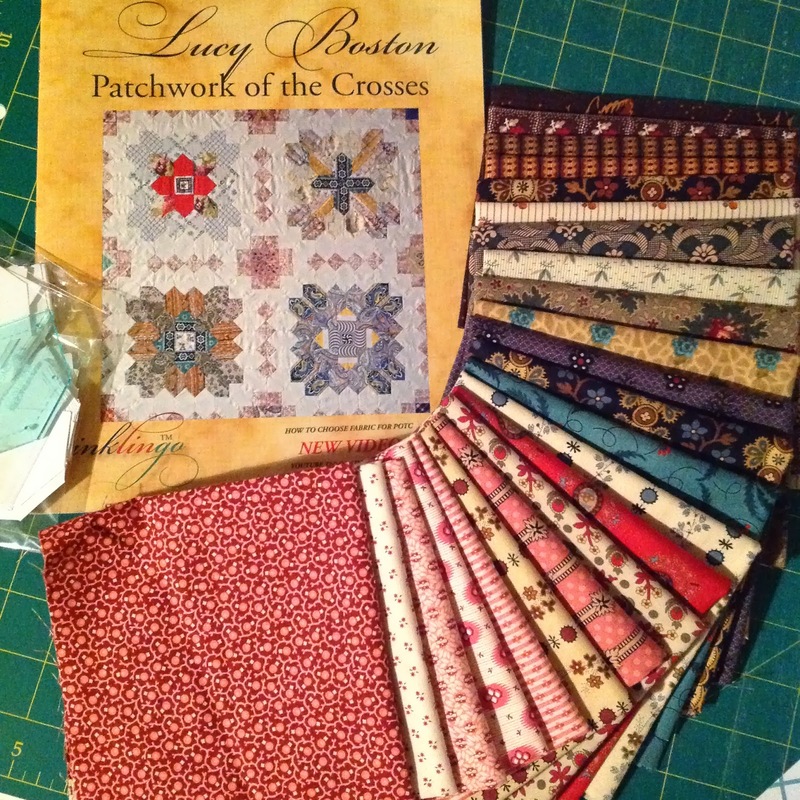 The crosses pattern looks very interesting and I do like the reds in that fabric bundle. Have fun with that one. 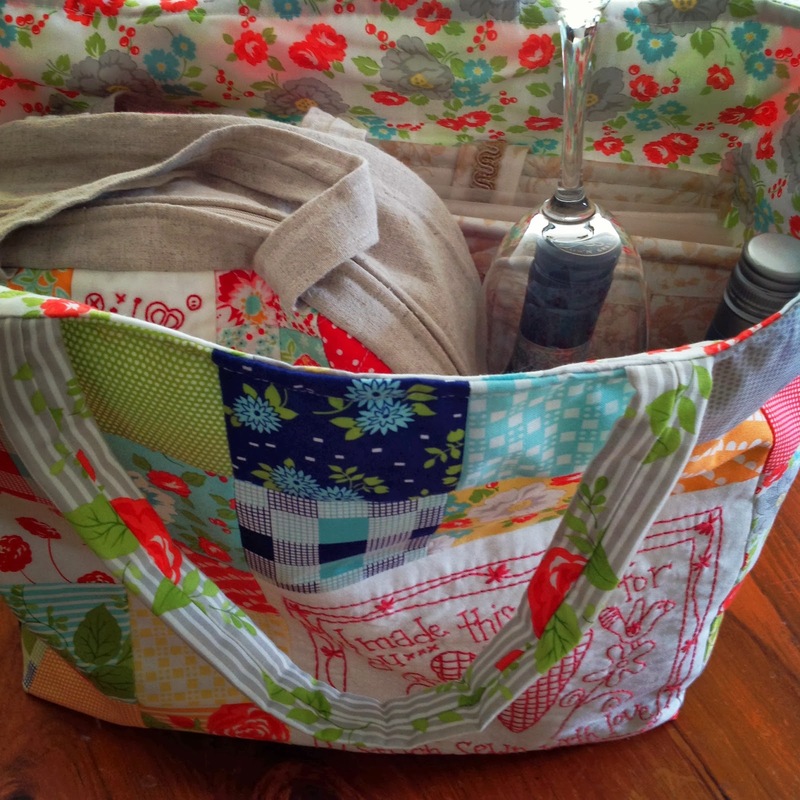 Love the contents of your bag of crafting supplies! Lovely stitchery, too, especially with that CG thread. Sounds like the wait for school to start will be a long one.